Over the last few years, Florida has been rocked by a series of deviating hurricanes, floods, and storms, all of which resulted in serious, and often deadly, car accidents for those who were unlucky enough to be caught on the road. These types of hazardous weather conditions should always be taken into account when operating a vehicle in Florida, as failing to do so can have disastrous consequences. For instance, it is much more likely that a person who operates a vehicle at highway speeds in high winds and while the roads are still wet will lose control of his or her vehicle, hydroplane, and even collide with another car. 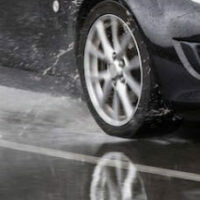 Large puddles of water that collect in low lying areas can also be extremely dangerous for drivers, who are encouraged to use extra care and exercise caution when driving in poor weather. Ideally, the best option for Florida residents after a storm hits is to stay off of the road. However, this is not always possible and when drivers fail to use special care at these times, the results can be devastating. Adverse weather conditions can make it more difficult to determine who was at fault for an accident, so if you were injured while driving during or immediately after a storm, it is important to contact an experienced Fort Lauderdale auto accident lawyer who can help you hold the at-fault parties accountable. Poor visibility exacerbated by a failure to use headlights or using damaged windshield wipers. The other driver’s breach caused the plaintiff to suffer an injury. Car accident victims who can meet this burden are eligible to recover damages compensating them for medical expenses, lost wages, pain and suffering, property damage, and emotional distress. Pulling off to the side of the road. While these methods do not guarantee that a person will not be involved in a bad-weather accident, they can go a long way towards preventing injury. If you were injured in a bad-weather accident, please call 954-566-9919 today to speak with one of the dedicated auto accident lawyers at Boone & Davis about your legal options.